I definitely do not want to get rid of the English Tosca but put it here to show all I have. Out of these, are there any I should get rid of? Perhaps one of the two Calls performances? Note that Tosca is not one of my favorite operas and I only got into it for the Act II DVD with Callas that I have. None of these CD sets were expensive. In fact the 2nd and 3rd were each $1 in like new condition at garage/rummage sales, and I have not listened to them. I also have a single disc extracts of this one. Which may be a different packaging of THIS ONE (Linked image). Last edited by Fritz Kobus; Oct-17-2015 at 19:47. 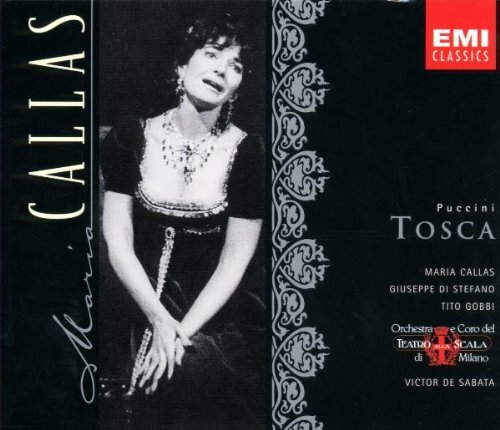 The Callas/De Sabata Tosca is one of the greatest opera recordings of all time and has been universally acclaimed. You have to keep it, though I'd suggest throwing away the 1997 Callas Edition and getting the recent Warner transfer, which is much more faithful to the original LPs. Yes, you advised me to get the Warner transfer on La Sonnambula also but in both cases I fell for pretty pictures on the old covers. It may not matter in that most of my listening is on earbud with occasional use in the car (2001 era base model CD player). I definitely need to keep the Callas/De Sabata Tosca and should keep the upgrade to Warner in mind. The Nilsson seems like it would be worth keeping, so probably get rid of the Callas/Cillario Tosca for now. Tosca with Nilsson, D F-D & Maazel definitely sounds like a curate's egg of a recording and not one that I would want. You can't live without this classic DECCA recording. They are both good but the DECCA sound is stunning. I know that's not your number one priority but the orchestra in the second act.... second to none. I agree with this, whilst I don't share the opinion that some have that DFD was such a good lieder singer, he couldn't possibly have been worth hearing in opera (or the similar opinion that it's not worth hearing a German in Italian opera), Scarpia was not the right role for him. Nilsson is second only to Te Kanawa as a miscast Tosca. That's the one to get rid of. 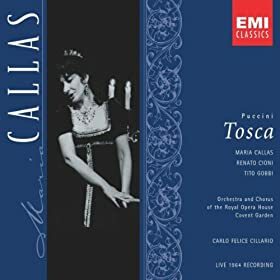 The Callas live Tosca is worth keeping as Callas has found so much more drama in the part since she recorded the classic studio recording, they are both essential Toscas. Give it to me then, I'd glady have two copies of this WOW MUCH AWESOME recording, being the wet Corelli fangirl that I am. 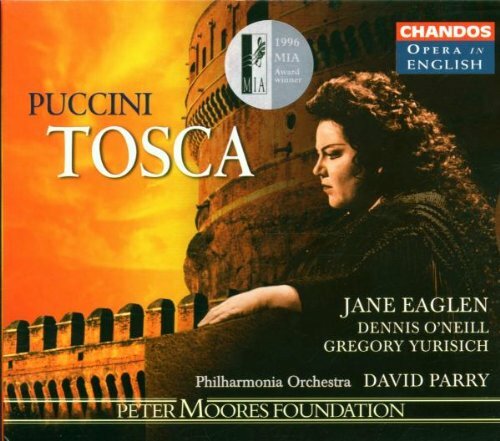 If you need a stereo Tosca in your collection (the Callas/De Sabata is (excellent) mono), then I'd also go with Pugg's choice. It may be 50 years old now, but the sound is spectacular and Price, though not so detailed an interpreter, sings gloriously. Di Stefano is not as fresh-voiced as he was 10 years earlier for De Sabata, but he still sings with bags of character and Taddei is arguably the best Scarpia after Gobbi. There have been many recordings of Tosca since, some of them very good indeed, but these two still lead the field to my mind. I'd agree with Le Conte re the Nilsson recording; totally miscast. Ok, dump the Nilsson recording DFD much better as the King's minister in Fidelio. Keep both Callas recordings and I plan to keep the English one (which noone has opined on yet and I am sure it does not stand up to the greats). I don't have any Leontyne Price so that can be on my radar. I don't have any Leontyne Price so that can be on my radar. Hm, I'd definitely think about going on a Price buying frenzy if I were you then. Depending on how you feel about Callas, Price is arguably the greatest proponent of the spinto Verdi roles. If you're thinking about getting new recordings of any of the following operas, I'd at least consider going with Price for them--Aida, Forza, Ballo, Trovatore, Tosca, Butterfly, Carmen. And also the Verdi Requiem. 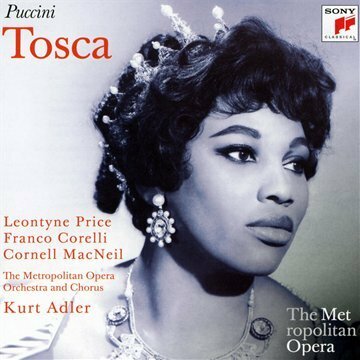 eta - I think I like the Nilsson/Corelli Tosca more than most here do. It's not one of my top 3 choices or anything but I think its worth having. Nilsson was never the most italianate sounding singers and she's not nearly as lovely as Price is here, but she's such a great artist, it's always interesting to hear her in something other than the Wagner and Strauss she reigned supreme in. Corelli is never subtle but I consider that a plus for this opera. DFD is badly miscast though. Last edited by howlingfantods; Oct-18-2015 at 19:27. Depending on how you feel about Callas, Price is arguably the greatest proponent of the spinto Verdi roles. If you're thinking about getting new recordings of any of the following operas, I'd at least consider going with Price for them--Aida, Forza, Ballo, Trovatore, Tosca, Butterfly, Carmen. And also the Verdi Requiem. We all have different tastes of course, and Florestan has already expressed elsewhere admiration for Callas. Personally, I would prefer Callas in each and every one of the roles you mentioned above, save, possibly, for Aida, a role that never really suited Callas even in her halcyon days, when she was hurling out a top Eb of magnificent proportions in the Triumphal Scene. Still, Callas makes the character of Aida much more multi-faceted than the two-dimensional character she often becomes. Price has her attractions in the other roles you mention as well of course, though i would still prefer Callas in all of them. She is nowhere near as interesting as Callas, nor does she sing a role such as the Leonora of Il Trovatore with anything like's Callas's fidelity to the score. Leonora is, after all, a transitional role and demands a sound coloratura technique,and requires a full command of fioriture and a good trill, something that was often forgotten by post-war spinto sopranos. Price's actual tone colour is absolutely perfect for the role, but she can be rhythmically imprecise. When it comes to Madama Buttefly, to my mind her beautifully sung, but emotionally bland performance comes a long way down the list after Callas, De Los Angeles, Dal Monte, Scotto and Freni. Last edited by GregMitchell; Oct-18-2015 at 20:17. That's why I prefaced this by saying "depending on how you feel about Callas." I wasn't aware that Florestan has talked about Callas elsewhere; I assumed he didn't like her that much seeing as he was considering getting rid of the de Sabata Tosca, one of her most famous and esteemed recordings. Even if you're a total Callas-head, I still think you would be ill-served not having any Price recordings. Personally, I wouldn't want to do without either in these roles. I wasn't aware that Florestan has talked about Callas elsewhere; I assumed he didn't like her that much seeing as he was considering getting rid of the de Sabata Tosca, one of her most famous and esteemed recordings. I should have been more careful in my original post to note the the de Sabata Tosca was definitely a keeper, or at least that a Callas Tosca would be a keeper as I did not know the value of the Cillario Tosca. All times are GMT +1. The current date and time is Apr-25-2019 11:24.